Indian Air Force released the Admit Card for AFCAT-I 2018 which is to be held on 25th March 2018. An email has been Sent by IAF consisting the admit card. Those who have not received it are advised to log in to their accounts in order to download the admit cards. 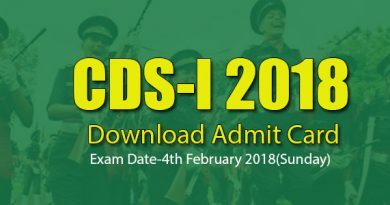 It is to be noted that admit card has been sent to those candidates only whose examination was cancelled on 25th February 2018. AFCAT 01/2018 (Supplementary) will be conducted on 24 & 25 Mar 2018 for candidates of the centres, where either both or any single shift of AFCAT and/or EKT paper of AFCAT 01/2018 (Main) was cancelled on 25 Feb 2018, and also for candidates who were individually affected due to technical breakdown at their exam centre (s). For these candidates, marks obtained in AFCAT and/ or EKT paper of AFCAT 01/2018 (Supplementary) which they would appear in, only will be considered while preparing the final results. Request for change of venue (exam centre) or date will not be entertained. Candidates are to report at theexam centre at 08:00 AM. The candidates are to strictly adhere to the time of reporting in order to complete theverification process including biometrics, admit card, ID proof, photograph etc before proceeding to the exam hall.Late reporting, only under exceptional circumstances beyond a candidate’s control, may be permitted, but notafter 08:30 AM. Candidates are not allowed to carry any textual material, calculators, docupen, slide rulers, log tables, electronic watches with facilities of calculator, mobile phones, blue tooth device, pager or any other digital device inside the AFCAT- C-DAC exam centre premises. If the candidate is found in possession of any such item, the item will be confiscated and it will be construed as an attempt to using unfair means. Candidates are also advised not to bring any valuable/ costly item to the Examination Centres, as safe keeping of the same cannot be assured. Examination Authority will not be responsible for any loss in this regard. Candidates are to make own arrangements for conveyance. No TA/ DA or any kind of allowance will be paid to candidates for appearing in the test. This Admit Card only permits a candidate to appear in the AFCAT online examination based on detailsfurnished by the candidate in the application form. This in no way should be inferred as an acceptance of eligibility which will be scrutinized at subsequent stages of selection. Please go through instructions mentioned in Question Paper before commencement of the test. A mock test is available on the web portal for practice. After logging in for the examination, the onus of filling the correct information in relevant fields, as per the instructions given by the invigilator, is solely on the candidates. Candidates must ensure that on the attendance sheet, they paste a passport size colour photograph, give their thumb impression (right for women and left for men) and sign (before exam) and write the Session ID number (auto generated after logging in for examination), and again sign to mark their attendance (during exam). 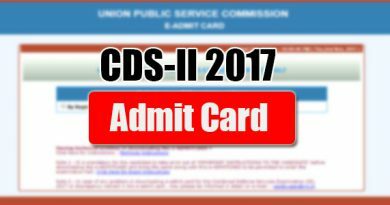 Similarly candidates are required to sign and give their thumb impression on the admit card also. Candidates will not be allowed to leave the exam hall before completion of the AFCAT/EKT(as applicable). In the event of any uncertainty due to reasons of security, natural disaster or technical breakdown beyond control, IAF reserves the right to delay or postpone the examination at a single or multiple exam centre(s). Candidates are requested to bear with the inconvenience and cooperate. For EKT Candidates Only: The candidates are to attempt only the question paper of the EKT stream mentioned in the Admit Card. Please preserve original Admit Card duly stamped and signed by IAF Observer of exam centre. 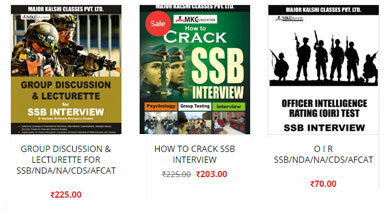 Theshortlisted candidates would be required to present the same at the time of testing at Air Force Selection Board.